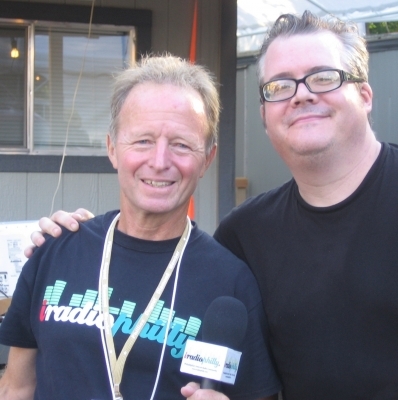 iRadioPhilly conducted the first ever live broadcast of the Philadelphia Folk Festival from the Main Stage at the Old Pool Farm in Schwenksville, PA Friday 8/17, Saturday 8/18 and Sunday 8/19. Between bands, we caught up with artists, organizers, volunteers and festival-goers who exposed the true color, spirit and tradition of this great festival. New tradiotions begin every year. This young mom talks about camping and her Folk Festival baby, Grayson. Hillbenders members talk with Tom Kelly before their performance about their unique blend of contemporary bluegrass music. Mom and daughter enjoy the ice cream and music. Interview with a volunteer who also loves the music! A family from Boyertown enjoying the Folk Fest. The Hershey Kiss Lady wanders the field handing out free Hershey Kisses in the crowd. 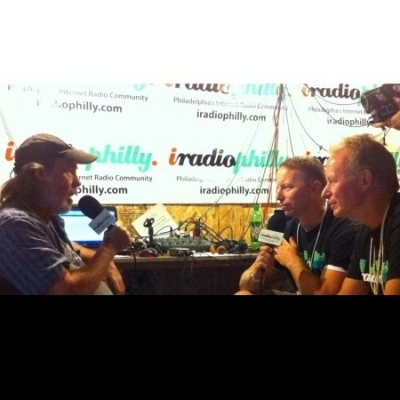 During the first ever live broadcast from the Philadelphia Folk Festival, iRadioPhilly's Tom Kelly and Paul Kelly had a great conversation with Little Feat keyboardist and original band member, Billy Payne. Heath Haynes and the High Dollars after his performance, unfortunately without Wanda Jackson.